One of the publishing trends of recent years has been nursing memoirs. Heartwarming anecdotes of the nursing care provided for eccentric patients are generally combined with attacks on supposed developments in nurse education after about 1975, and the whole account is bathed in the light of a golden age that has passed. This memoir emphatically rejects such nostalgia. June Clark’s initial university training in classics shaped the fierce intelligence that she brought to her nursing career. Despite a prize-winning record at University College Hospital, London, the author comments that ‘perhaps the Matron was glad to see the back of me’. This was not the only occasion when that sentiment seemed apparent, she adds. A career in health visiting and then a move into research posts led eventually to university chairs. 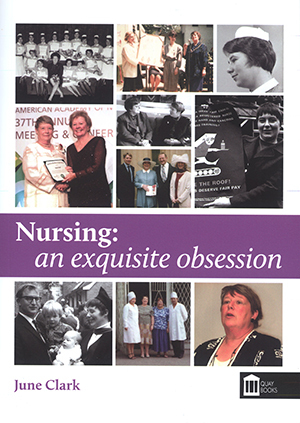 Clark was therefore one of the pioneering generation of nurse academics who creates a space for the profession in what was often a hostile environment, and so she provides a valuable eyewitness account of a crucial stage in our history. She demonstrates an acute memory for the details of her working life and her memoir is combined with tributes to her supportive family. As a former president of the RCN, Clark gave countless hours to promoting its activities. However, the final section of the book ends on a rather sour note as it is devoted to an exhaustive chronicle of her quarrels with the organisation.